'Working' Then And Now: Studs Terkel's Book Interviews Resurface As Audio All this week on NPR, you'll hear the voices of people Studs Terkel interviewed in his book, Working. Among the interviews you'll hear this week are a telephone operator and hotel piano player. 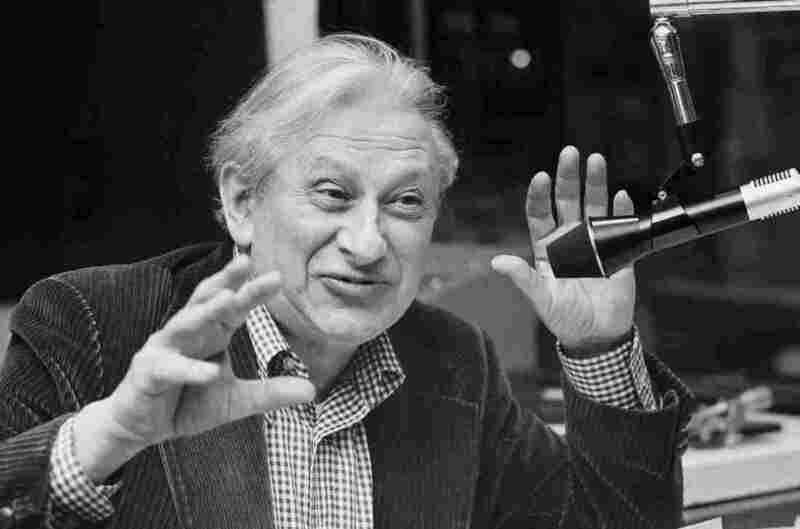 Studs Terkel talks on his Chicago radio show in the late 1970s. Studs Terkel had a gift for connecting with people and collecting their stories. Some of those oral histories of everyday workers talking about their jobs became a bestselling book published in 1974 called Working: People Talk About What They Do All Day And How They Feel About What They Do. All this week on NPR, you'll hear the voices from the pages of Terkel's book, thanks to Radio Diaries and Project&, which were given exclusive access to the recorded interviews Terkel made for Working. For about 40 years, says Joe Richman of Radio Diaries, no one really heard most of these recordings. Terkel recorded the interviews on reel-to-reel tapes and stored them in boxes in his house. He died in 2008. "These were tapes with Sharpie names on them — not a lot of information even about what was there because they were never meant for broadcast. They were just to be used for transcripts for the book," Richman says. Among the interviews you'll hear this week are a telephone operator, an auto repair mechanic, a private investigator and a police officer. In some cases, producers also interviewed the same people now, more than 40 years later. "Here we were, we were bringing these tapes, these interviews of their voice from 40 years ago back to them and playing them clips, bringing this time capsule of their own lives back to them," he says. "Some of the best parts of those interviews was having them react to their own voice."